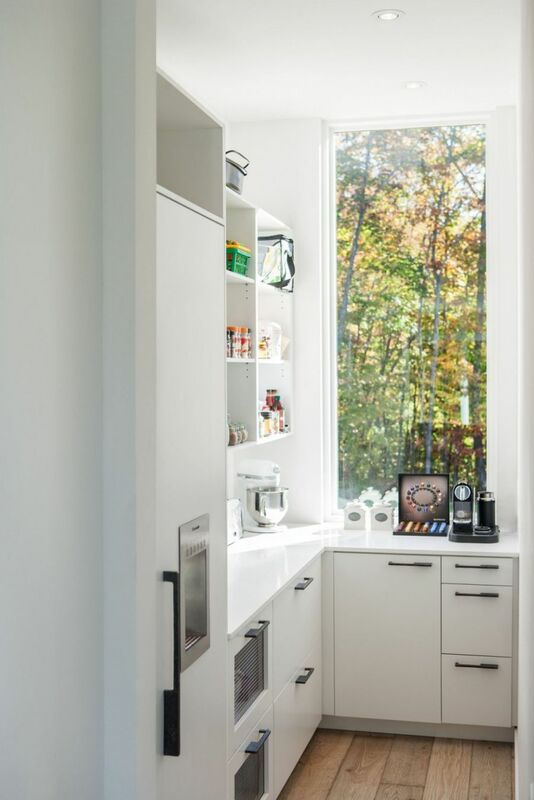 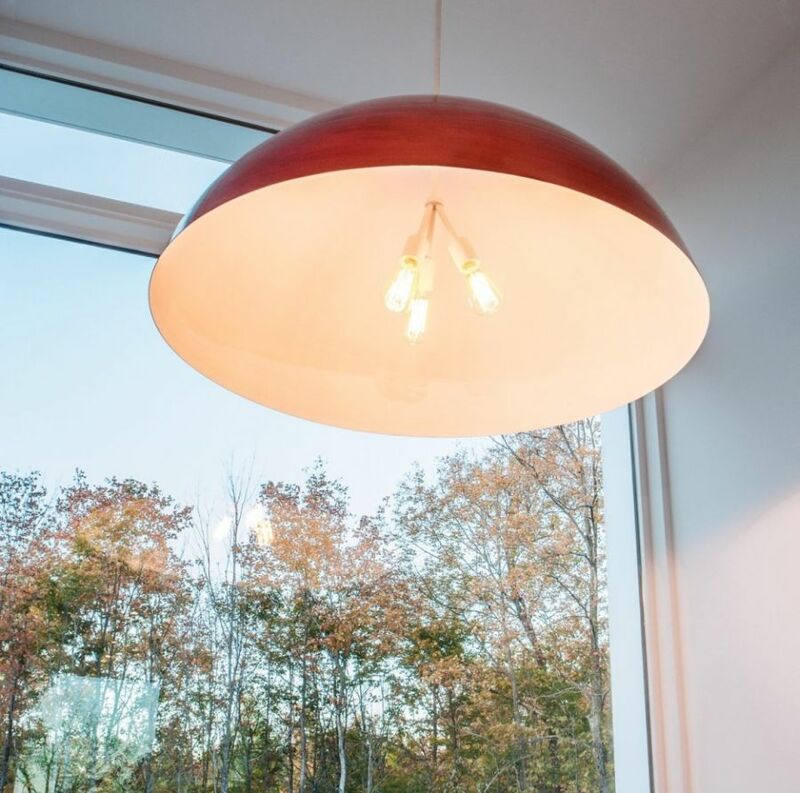 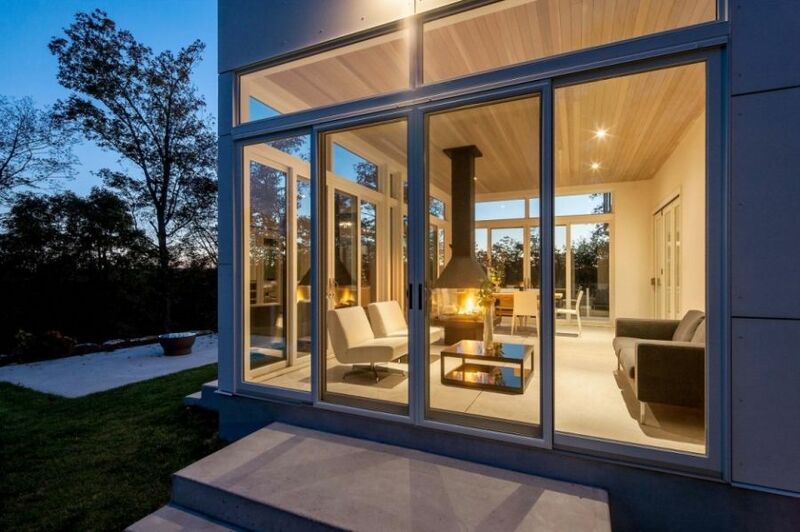 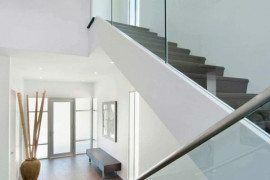 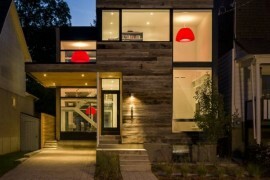 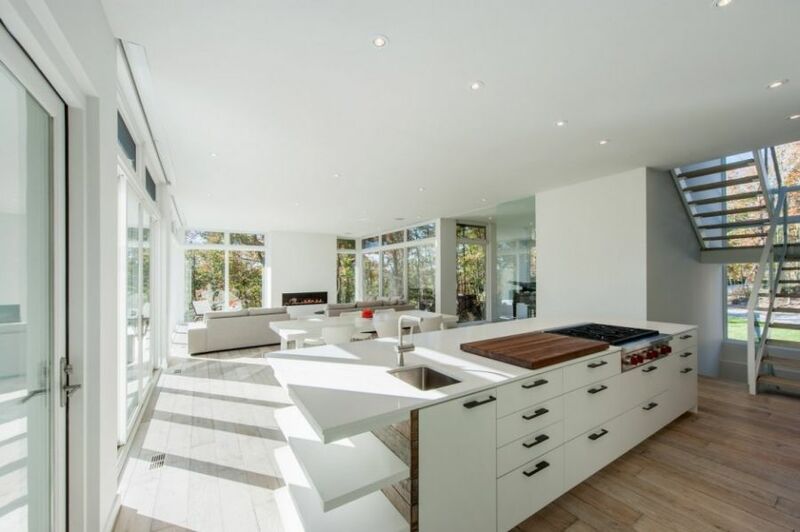 Designed by Christopher Simmonds Architect, the elegant Gatineau Hills Residence is located in the beautiful landscape just outside the city of Ottawa. 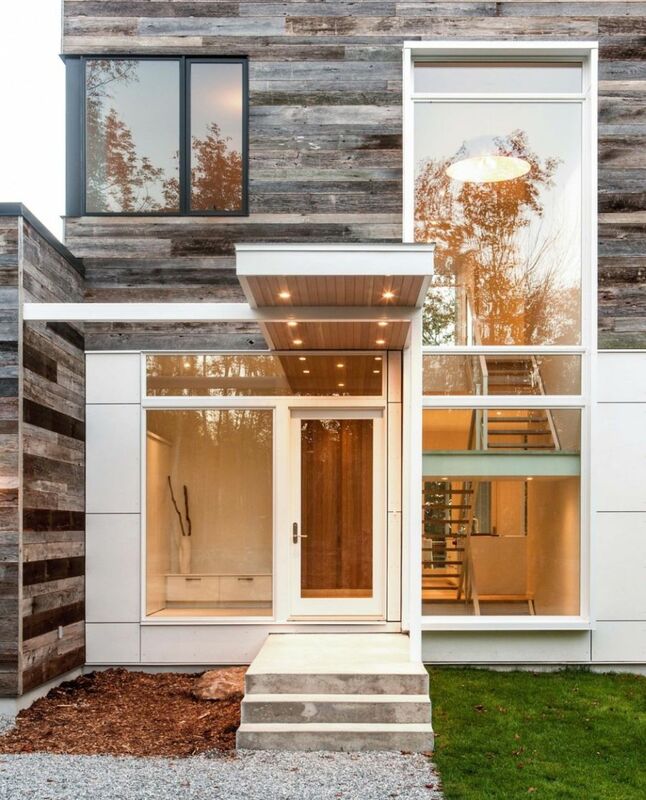 Combining sleek urban design with rustic charm, the luxurious house seamlessly integrates two contrasting design styles to offer a tranquil modern setting. 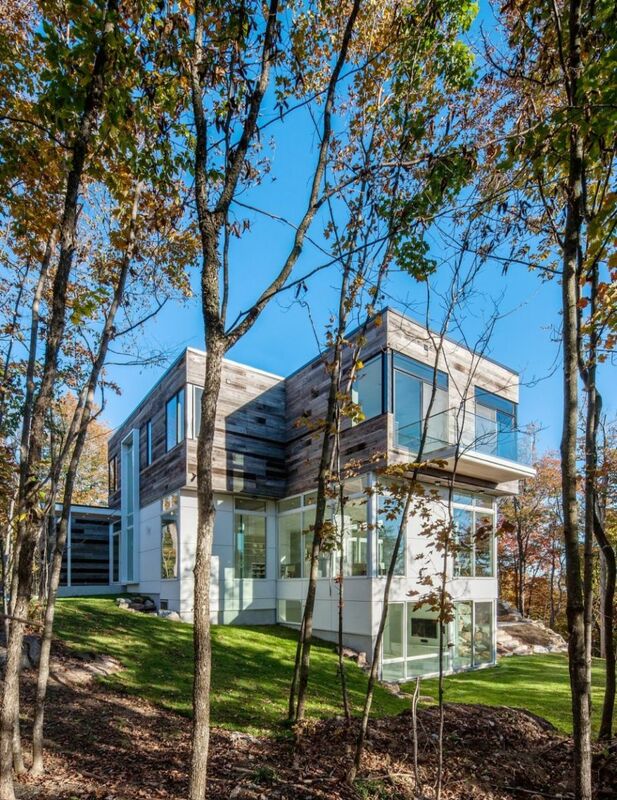 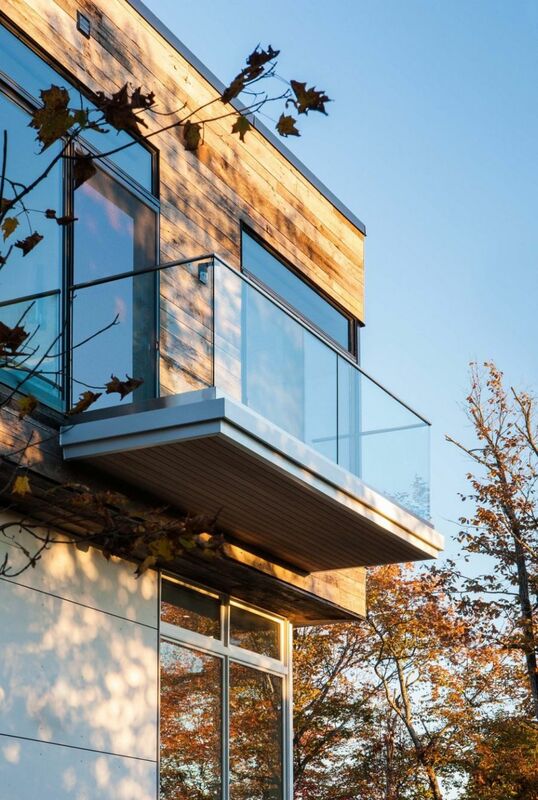 Surrounded by lush green vegetation and offering a lovely view of the Gatineau River in the distance, this exceptional home also boasts textural and spatial balance. 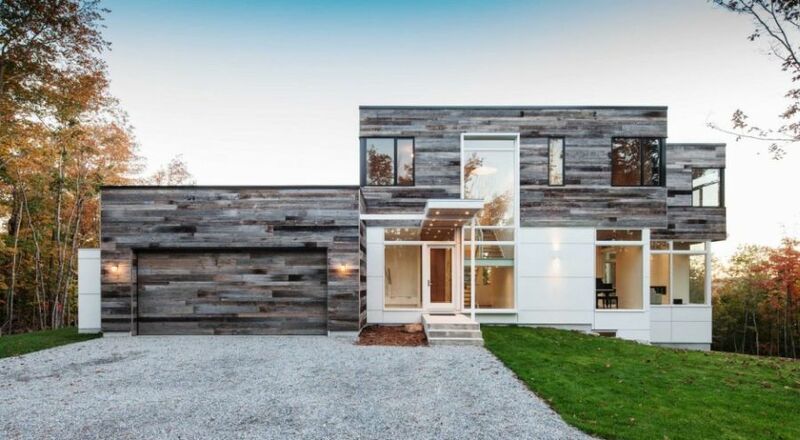 The beautiful combination of contrasting textures starts with the façade of the home, which features a glass and white cement exterior for the ground floor and a warm reclaimed wood surface for the second floor. 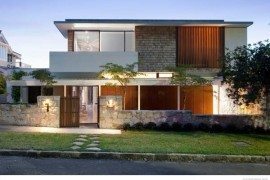 This gives the home a cool contemporary appeal, allowing it to blend with its surroundings, thanks to the natural organic vibe. 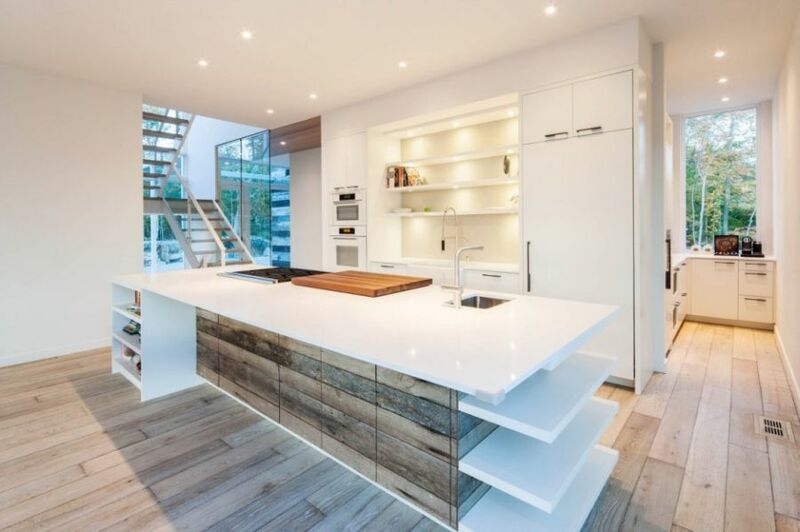 The lower level is clad in chic, pristine white with a living room, dining area and a fabulous kitchen connected in an open floor plan. 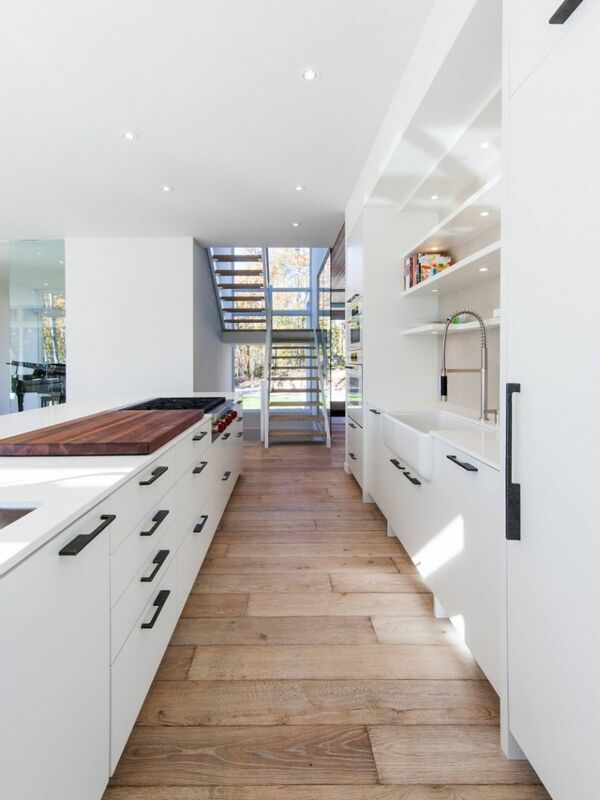 Hand-scraped oak floors and pops of color here and there perfectly complement this glossy white lacquered look. 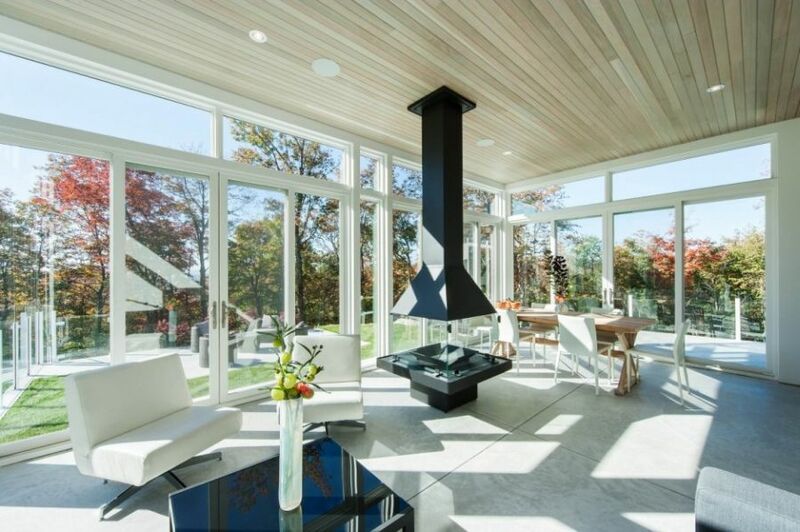 Private spaces located on the top level feature large glass windows offering unabated views of the colorful scenery all around. 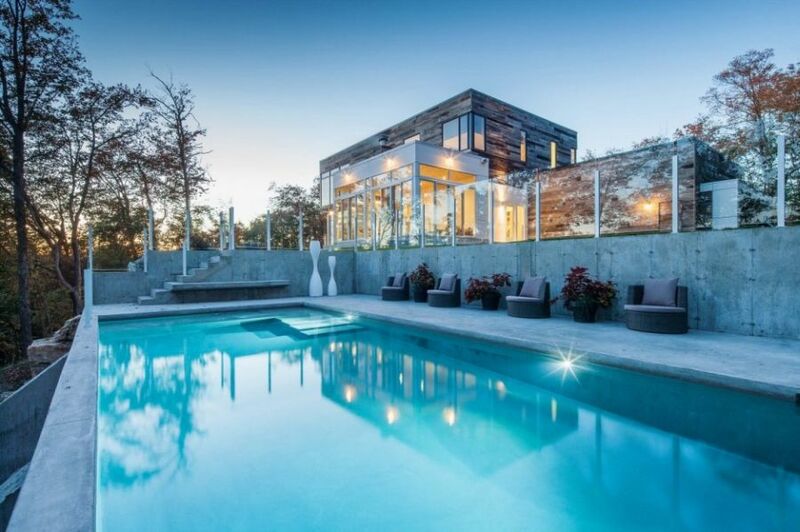 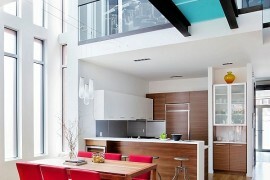 A stylish sunroom and a lavish pool in the backyard complete this affluent and relaxing Canadian residence. 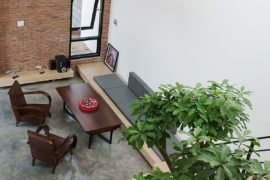 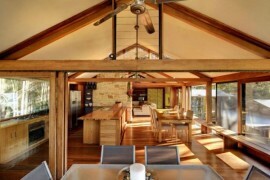 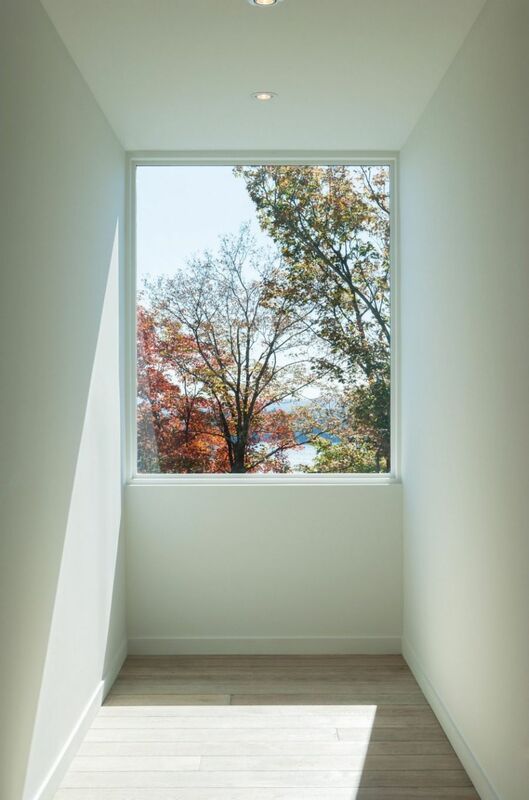 The open ground floor, with its interconnected spaces, allows sunlight to flow through uninterrupted, showcasing the beauty of the natural light as it varies throughout the day and by season. 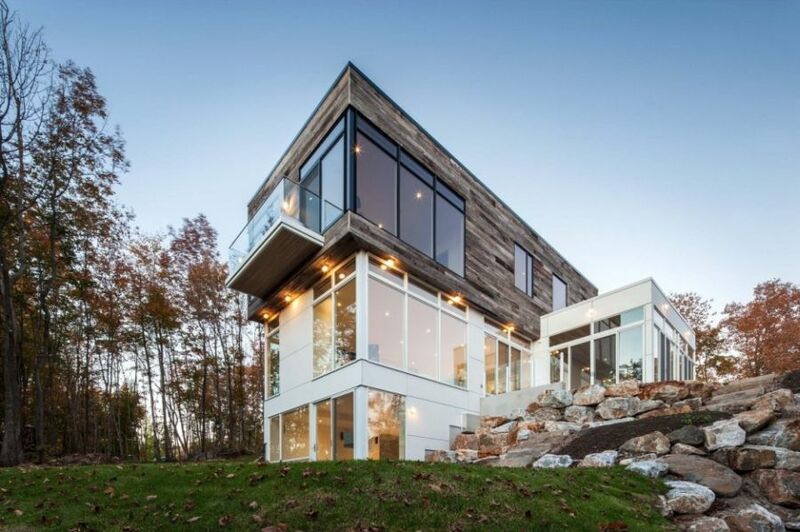 The spaces to the southern slope look out to the cities of Gatineau and Ottawa, the winding Gatineau River below, and the adjacent ski hills.